We are continuing to work on expanding and improving our touchscreen work clock application. Recently we’ve given it an all new user interface and new capabilities such as viewing currently clocked on jobs, more information on job detail and better interaction with activities. The new user interface allows better touch capabilities and better navigation across the entire application. We are working to extend this touch design across all our mobile applications. Activities are used to manage such things as training and non-productive hours. 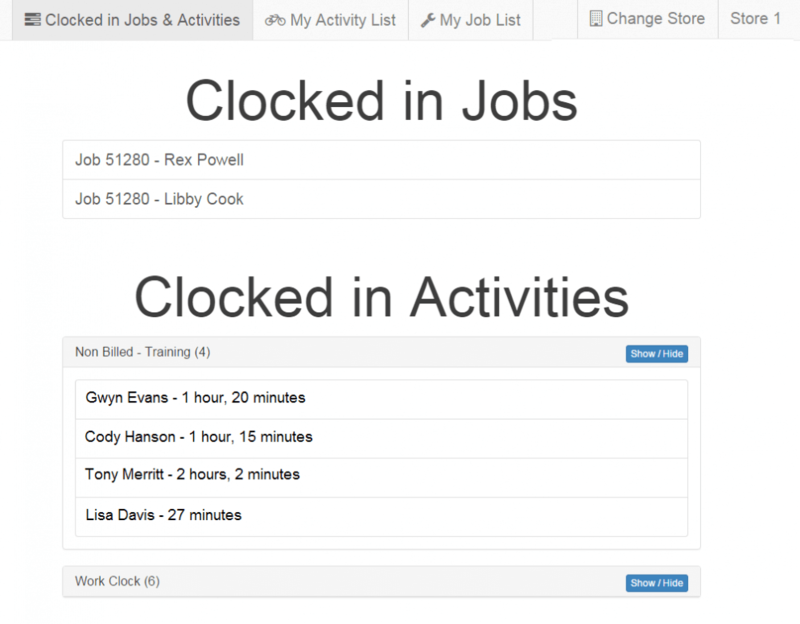 By improving the activity functionality of the work clock we hope to alleviate users from having to manage open work orders to track time on such tasks. The work clock is just one part of the future of Enterprise mobile design. This touch design philosophy we are going to extend to other applications such as warehouse management and document building. These functions will be kept in one navigable application called Enterprise Mobile.